Defendants on trial for the murder of a woman at a McDonald’s restaurant in eastern China in 2014. Her attackers claimed she was a demon when she refused to hand over her mobile phone. China has put leading members of a banned religious group, the Church of Almighty God, also known as Eastern Lightning, on trial as part of a major crackdown on what the government regards as a dangerous cult. The Christian sect, which is also known as Eastern Lightning, was founded in the early 1990s and claims to have millions of members. It believes that Jesus Christ has been resurrected as Yang Xiangbin, mistress of the group’s founder Zhao Weishan, a former physics teacher. Ms Yang is now on Earth to wreak the apocalypse, the group believes. The pair were reportedly granted asylum in the US in 2001 and they now direct the organisation from New York. The secular Communist Partykeeps a tight grip on all religions and it has come down particularly hard on religious groups it considers cults, which it sees as a threat to stability. Eastern Lightning has said it wants to end communist rule and refers to the party as the “great red dragon”. In 2014, church members beat a woman to death at a McDonald’s restaurant in eastern China, claiming she was a demon when she refused to hand over her mobile phone. Dozens of followers of the church, known as Quannengshen in Chinese, have already been sentenced. The trials have been taking place in Daqing, in China’s northeast Heilongjiang province, since July 31st, the state news agency Xinhua reported. 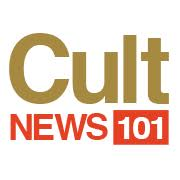 The cult recruits members among less-educated women with family problems. Members were banned from using mobile phones, watching TV and reading fiction, a police officer told Xinhua, with only videos for brainwashing purposes allowed. “In the beginning, new recruits were not forced to donate or attend gatherings, but after becoming a convert they were manipulated into leaving their family and devoting everything to the cult,” the officer said. Xinhua cited Huang Chao, a researcher on cults from Wuhan University, saying that the movement has been extremely violent over the years, with more than 100 violent incidents and dozens of violent efforts to resist arrest. “In 2012, some cult members attacked police stations, damaged vehicles and injured officers,” he said. The only religions officially tolerated in China are Buddhism, Taoism, Islam, Catholicism and Protestantism, all of which are controlled by state religious authorities. Cults and renegade religious organisations have proven powerful over the years – both the Boxer and Taiping rebellions in 19th century China were originally religious groups. The campaign against Eastern Lightning has parallels with the similar crackdown in the mid-1990s on the Falun Gong spiritual movement, which China has labelled an “evil cult” and jailed thousands of practitioners.